The BeNext interface is the center of the system that combines all of our services, in one simple user interface. Save up to 25% on your energy bill. Monitor and determine your energy usage yourself. Whenever you want and where in the world you are. The App for your tablet, PC and smartphone are free of charge (iOS and Android). Benefit from more then 20 years of experience in the field of smart homes. System is expandable with more then 200 different type of products. Lifestyles form the basis of the BeNext system. We provide three Lifestyles: Home, Away and Sleep. A Lifestyle represents the state of the system. For instance, in the Lifestyle Home you would like the lights on after sunset. However, when you are in Lifestyle Away you would like to leave all the lights off and make the alarm sound when someone enters your house. A Scene combines multiple products in one collection. This allows you to, for example, switch multiple products on or off with one tap on the button. You can make as many scenes as you want to provide the ultimate level control and flexibility. A Rule is a method to connect to make BeNext products react to inputs and products. It is a flexible method to connect your products and other BeNext services. Technology is where BeNext shines. Using state of the art Wireless and Cloud Technology, the BeNext system is able to provide realtime insights for your automated home. 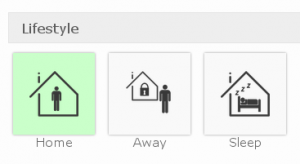 The Gateway is the connection between your home and your personal BeNext interface. 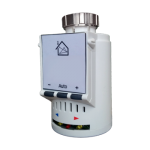 The Gateway controls the products in the wireless BeNext system and collects data from the sensors. It receives commands from the BeNext interface and sends back data over a secure internet connection. The Gateway uses Z-Wave to control products and collect data from the wireless home network. Z-Wave is a standardized, low power, bidirectional wireless network technology specially created for the home automation market. Because Z-Wave is a worldwide standard, BeNext can connect with any product that speaks Z-Wave. This includes the wide array of Z-Wave enabled third party devices that are out there today. You can find more information about third party product support here. 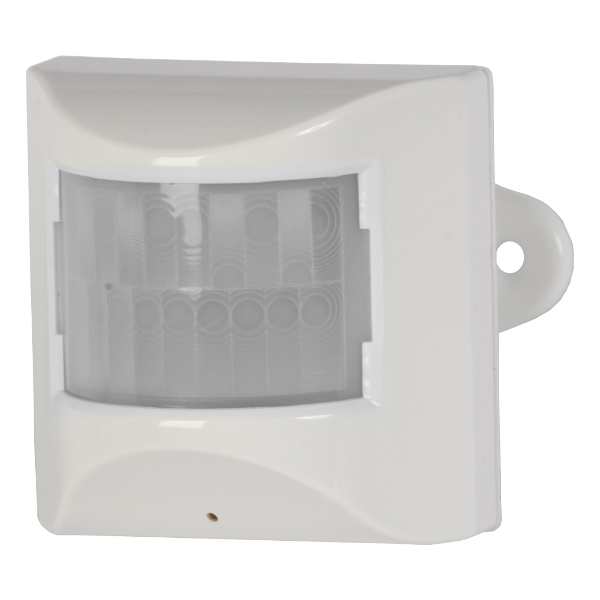 More information on Z-Wave can be found here. Comfort and savings in one. With thee climate products of BeNext you can manage this yourself! There are several products that measures the temperature in your house. These measurements are shown in your online manager. 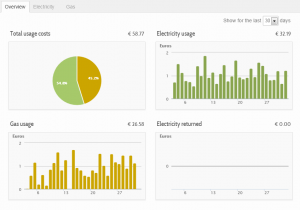 In this way you have a clear insight in your energy usage and you can see directly where you can save money. By creating Rules you can automate your products. In this way your house has always the preferred temperature and you are not stoking unnecessary. You want that the heating control will go on when you are coming home. You want that the heating control will go off at 11 o’clock. 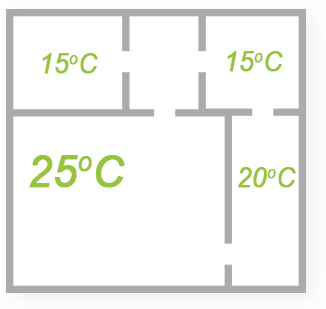 You want that, in the weekend, the living room has a temperature of 20 degrees, but the bedroom has to be 17 degrees. Do you want to know how you can create Rules? Go to this page. Sometimes we forget, but the highest energy costs for our homes and offices goes to usage of gas, which is used to keep room temperatures leveled. Start saving energy by only heating up the necessary rooms and spaces on the right time of the day. The Radiator Control of BeNext is a replacing unit for your original radiator valve, which help you to automate the usage of heat. When all radiators in your home or office are equipped with the Radiator Control of BeNext you can start making ‘Rules’ and ‘Schedules’ with the effect of drastically lowering costs on your energy bill. You can control the Radiator Control manually but also remotely with your smartphone, tablet or PC within our free of charge online manager. For other climate products you can go to our webshop. To automate your products, you can create Rules. Rules are settings made by you. You will never forget to change the temperature of the heating control when you go to bed, because this goes automatically. You created a Rule that the heating control will go to 15 degrees at 11 o’clock. Another advantage is that you never have to go downstairs to switch off the lights. So, Rules are not only helping you controlling your house, but everything will get more comfortable also. Do you like to know how you can add Rules? Then go to this page. You can create Scenes. These Scenes ensure that all the chosen products react as you want, and all at the same time. By example the Scene ‘GoToBed’, in this Scene you have set that all the lights downstairs will switch off. Now, when you activate this Scene all the lights will directly switch off, at the same time. Click here to see how you can add Scenes to your account. You can also control the products through the App or the website. Go to Live -> Product and choose the product you want to control. Select that product and decide what the product has to do (go on/go off/change temperature etc.). You can always control your products manually. By using the button on the device you can switch products on and off or change the temperature. This comes in handy when there is no controller nearby or when the batteries are empty. Saving energy is a prime focus for the BeNext interface. 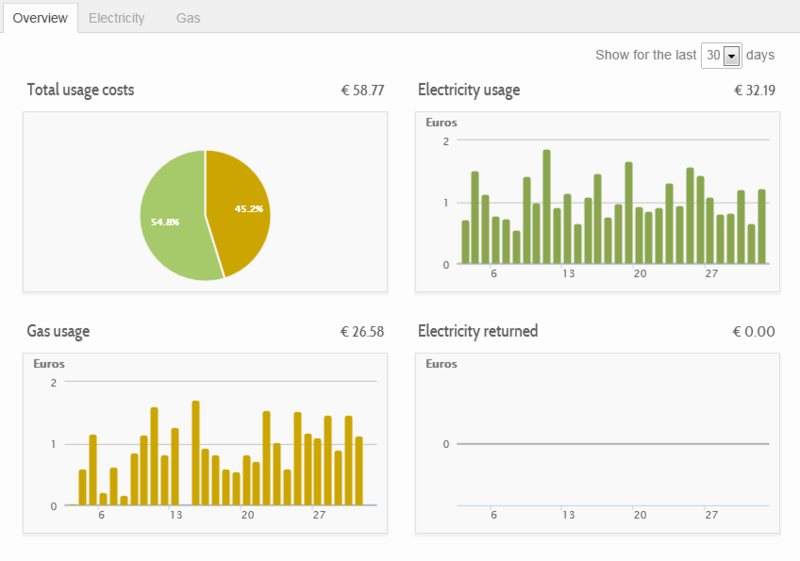 Every aspect, from the dashboards to energy pages themselves are tweaked to provide the best insight to your energy usage possible. We believe it is not good enough to just easily monitor your usage. You won’t actually save money until you change your usage. 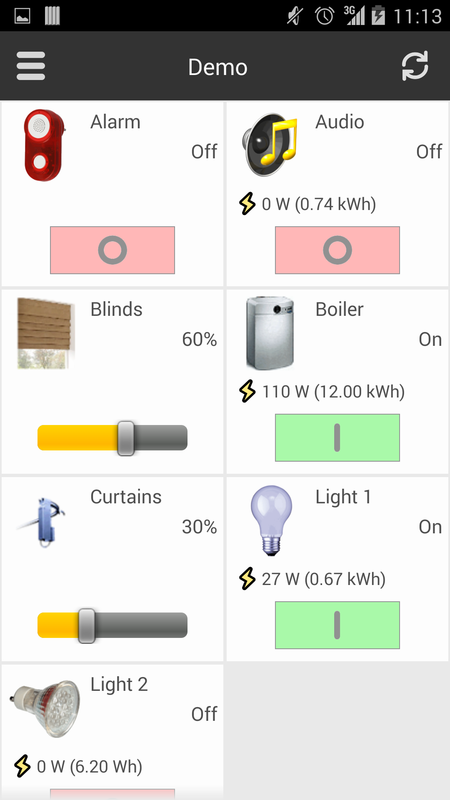 This is why all of our energy sensors are switches as well. Use our Energy Rules wizard for simple control over your usage or our powerful Rule Editor to tweak your usage and see your savings go up and your energy bills down. Plug-in your Energy Switch into any socket to read-out the amount of energy used. Remotely manage Rules and Schedules to reduce total energy usage in your office or home. The Energy Switch measures the exact energy usage in Watt’s or KWh, which can be found in the free of charge online manager. Within the online manager you can broaden the functionality of the Energy Switch by creating custom Rules and Schedules for plugged-in devices. The Energy Switch can be switched on and off manually by pressing the On/Off button on the device. Take control remotely with your smartphone, tablet and PC. 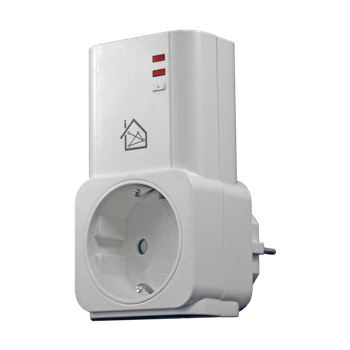 Use the Energy Switch in combination with your installed solar-panel to measure the exact electrical revenue. By doing this, you can compare the results in the free of charge online manager with the total electrical/energy consumption of the house. For other energy products you can go to our webshop. Taking care of yourself, but also for the people around you. Taking care of your parents or parents in law. We have to do this all together. But how nice is it for the person who needs care that he or she is still able to continue living on their own, do the shopping and cooks for themselves? Independent living, but with remote assistance. This is all possible with the products of BeNext! With the Panic Button you are just one press away from sending an emergency call. If you press the button on the Panic Button, an emergency message will be sent to a pre-defined email address. The Panic Button operates on a single battery. The expected lifetime is one year and the Panic Button will send a warning automatically if the battery level degrades to less than 20%. With the sensor combination of movement, light and temperature you are able to utilize the MoLite Sensor for a variety of system features such as security and personal comfort. Without knowing you’ll leave your room at night and you’re just walking around your house. Or this happens to your parents or parents-in-law. With this MoLiTe Sensor you make sure that, when this happens, someone will get a message or an alarm will sound. In this way you avoid dangerous situations and everyone can go to sleep feeling safely. For other products you can visit our webshop. A big advantage is that the camera sends the recordings to the BeNext cloud. This means you don’t need to set up any recording material: it is just plug and play. No matter what happens to the camera, the recordings remain safe on our server. We’ve been working around the clock on new apps, completely devoted to speed and usability for you. The iOS version of our new app is still in development and not quite as complete as the Android version. You can already check out the app in the App Store. Important: Only the new iOS app can handle push notifications, it is not possible to receive push notifications for the old app anymore. You can still use the new app next to the old app. Requires Android version 4.0 or higher. Optimized for Android 5.0 and up. iOS: Requires iOS 4.3 or later. Compatible with iPhone, iPad, and iPod touch. This app is optimized for iPhone 5. Android: Requires Android version 2.2 or higher. Optimized for Android 4.0 and up.